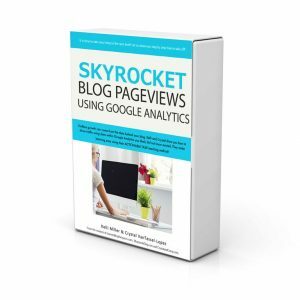 Two top bloggers share the top things they check on a regular basis in Google Analytics and Webmaster Tools that drive traffic to their blogs. 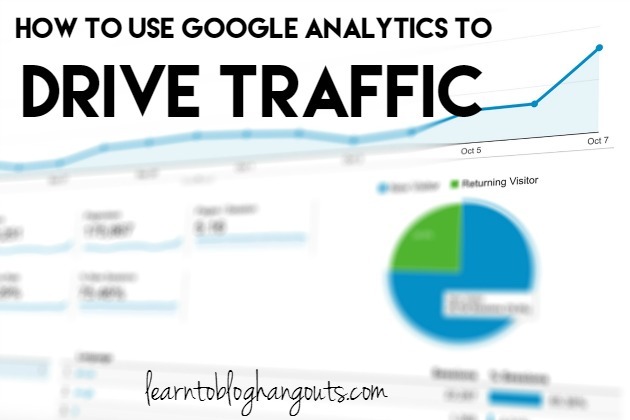 Do you know what to check regularly in Google Analytics and Webmaster Tools that drive traffic? Where is traffic coming from? What do readers do once they get to my site? Get comfortable with using Google Analytics and Webmaster Tools/Search Console, at least weekly (preferably three times a week). They’re free! You can review data from your search traffic (known as Search Analytics) and which keywords are used (known as Queries). 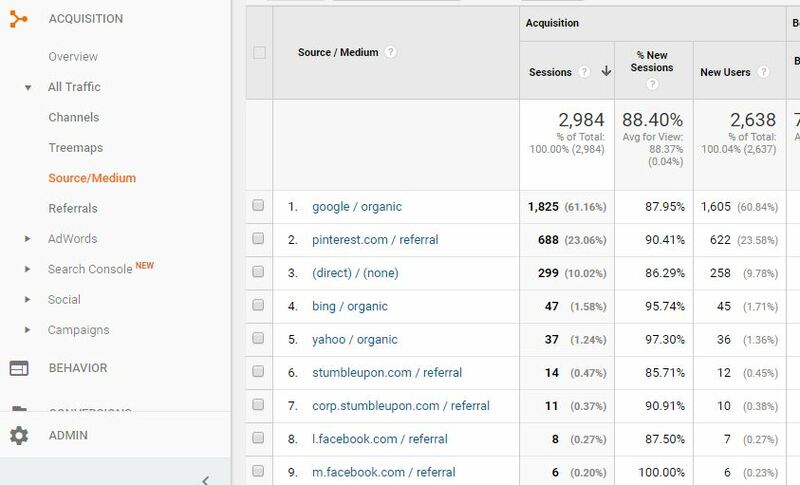 Often, you will see “not set” or “not provided” in Google Analytics, but this data is available in Webmaster Tools. 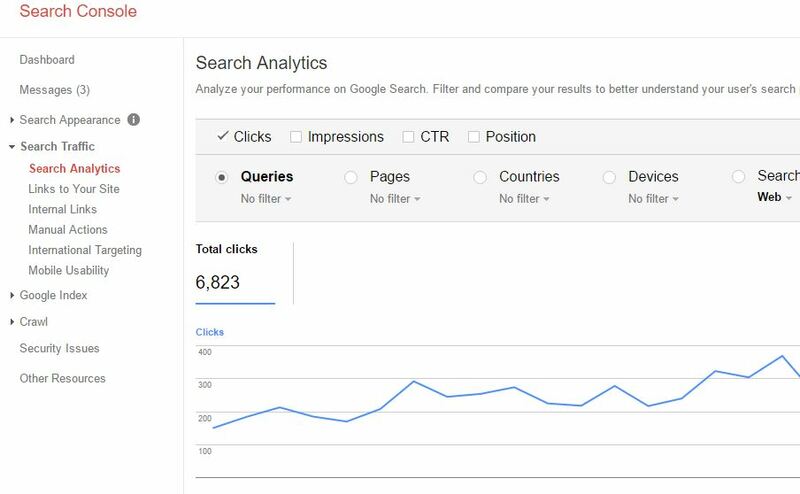 Google Analytics shows “not set” or “not provided,” but this data is available in Webmaster Tools. The default time period is the last 30 days (you can show up to 90 days, download this data as a spreadsheet, make notes on your editorial calendar, or create a draft blog post to capture your ideas). Reviewing this data shows seasonal content and gives you ideas for next year. Webmaster Tools shows what’s working and what to continue doing. You can see what you are ranking for and identify long tail keywords. At 9:10 in the video, Crystal shows how to use the filter to identify specific keywords that do well on your site. You will see these terms at the top of the chart: impressions, CTR, and average position. Impressions: A link URL records an impression when it appears in a search result for a user. CTR stands for Click through rate: the percentage of people visiting a web page by clicking on the search result. If error messages are showing in your account, research them and resolve the issue or seek out someone you can pay to help with these issues. You can DOMINATE The Search Engines Using Google Webmaster Tools (Search Console). This ultimate guide contains 30 bite-sized tasks using the data within your Google Search Console to grow your blog. Crystal checks her stats in Google Analytics everyday around 8 am. This helps her determine her promotional efforts for the day. In the Real-Time section, Crystal likes to see about 30 visitors on her site at any moment. If she had 80-100 visitors showing in Real-Time, that would be an awesome day. See what’s currently getting traffic – from where? what? If you have old content that is getting traffic, revive it. Pin it, post it on Facebook, or republish it on your blog (if there are no dates in your permalinks). Use the data in Google Analytics to guide content to promote or update it. 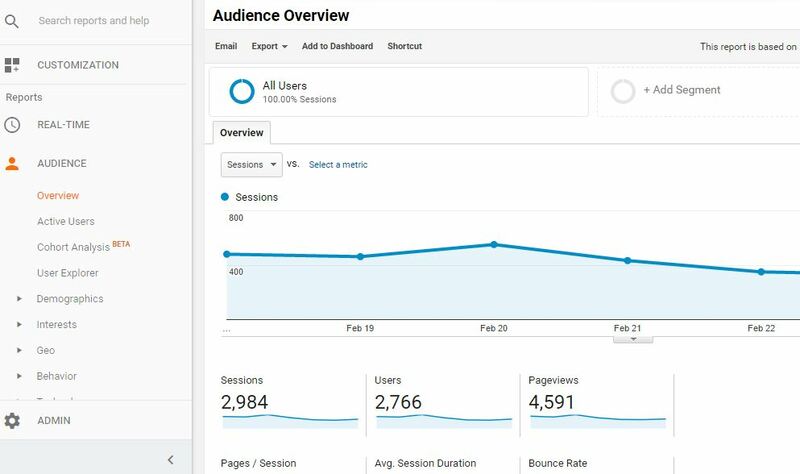 Demographics are now available in Google Analytics. Learn more in our FREE 5 day course. Is your traffic coming from mobile? Is the time of day impacted? Check various times (early AM, noon, during commute). Think about your readers’ behavior. What would make the most sense for them? Then, ask yourself, how can I increase/maintain that? 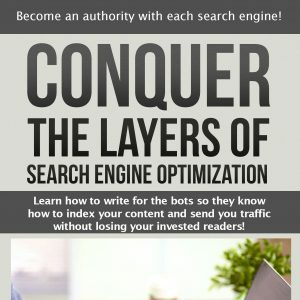 If you are ready to CONQUER the Layers of Search Engine Optimization, you need CONQUER! It is a comprehensive, self-paced, guide to help you understand the terms you need and want to rank for. During this course you will learn how to create and implement your SEO plan! Related Post: In What Order Should I Do The LearntoBlog Products? What are Landing Pages? The place people land when they come to your site. Not the homepage or category. Create landing pages, add them to navigation bar, then, keep writing and linking to/from them. Under Behavior>All Pages is Kelli’s favorite spot. This shows you data on your most popular posts. 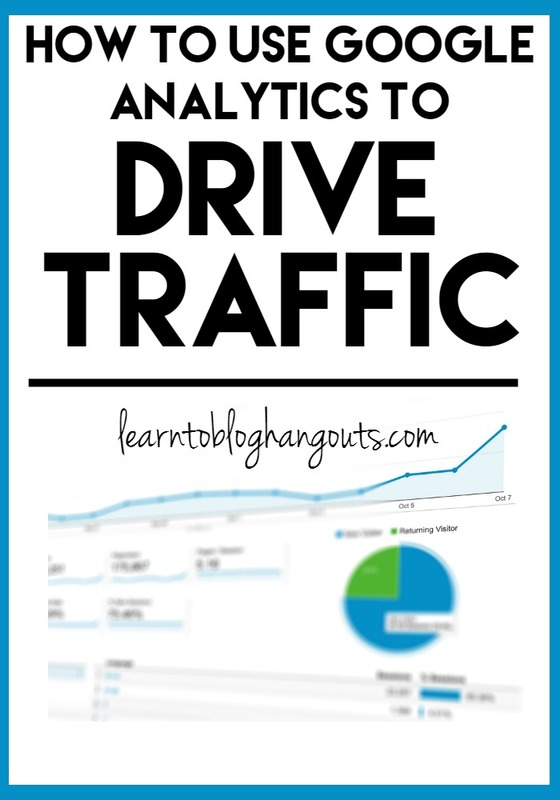 Kelli suggests reviewing this and then determining how to increase the traffic to your #3 and #4 post to the same # of pageviews as your #1 and #2 posts. Bounce Rate is the percentage of single-page visits (i.e. visits in which the person left a site from the entrance page without interacting with the page). A lower number indicates a better rate. Why is this important? If you can improve your bounce rate, you can increase your pageviews. Ask yourself questions. Why are they coming and leaving? Are you lacking landing pages? Behavior>Site Content>All Pages. In the search box, type in outgoing. You will see where most of your traffic is going. When you see traffic is going to another site, you should create similar content and promote your content in similar places. This keeps readers on your site and doesn’t send them away to others. 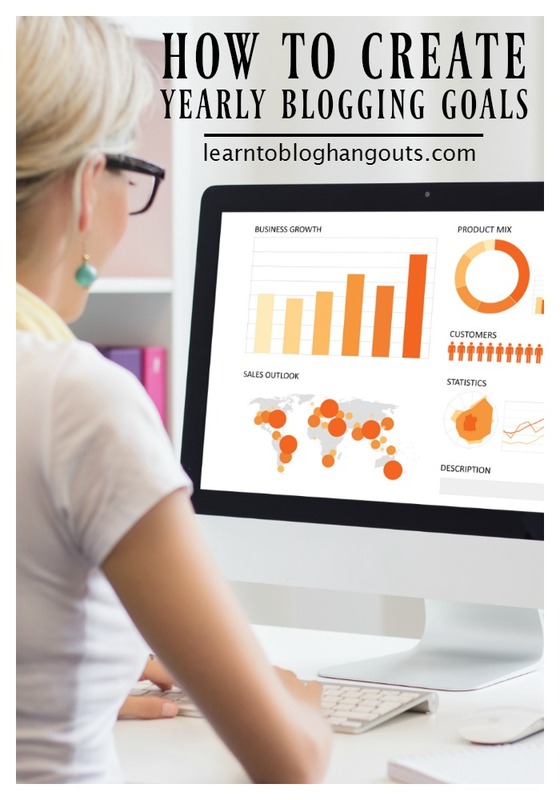 View your analytics to brainstorm ideas to create your content. Ask to be linked to. Create link loops with related content (Kelli links to Crystal’s post>Crystal’s post links to Kelli’s post>repeats). Create and use landing pages. Want to know which pins are bringing traffic? Check Behavior>Full Referrer. Repin pins that already have momentum (not a fresh pin). Then, share the repin link in a chore/share thread. Which source is sending the most traffic to a post? Look at the same month last year. Start promoting those posts again. Pay attention to your numbers in Webmaster Tools data to evaluate progress. Keep standing, notice changes, keep up your success, watch competition. Put it on your agenda daily. Am I working toward my goals? What can I do today to fix it? You should start to see results within two weeks of publishing. Go into old posts and link to new posts. Check popular topics on Pinterest to get started with thinking of trending ideas.